I'll be there to photo bomb it since it's an hour and a bit away... But is it the superior side AKA Canada? Yeah--erm--the superior side. Realized my passport has expired, so I'm waiting on the documents to enter legally. 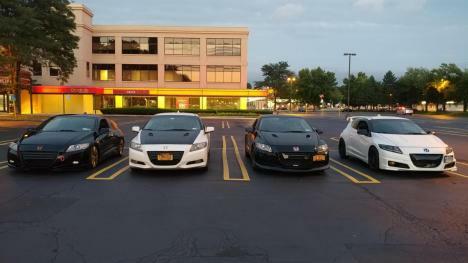 Anyway, glad to see you can make it there too, and as far as I know, RachetRex will be there with his CRX and Hondaholly, with one of her CR-Z's. I guess @Rustbucket lives in that general area too (Canada! ?--such a small place, eh,) so it's worth giving him a mention on the chance that he's not too far away. I've put it in my calendar. If the day remains free for me, I'm not certainly not opposed to the drive - it's relatively close for me. Just thought I'd repost the event for next Saturday here. Hey! I just moved to New York. 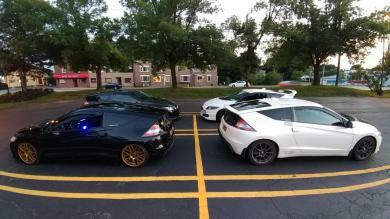 I have a bone stock CR-Z and looking for a new crowd to hangout with. Hey, I think I saw Holly at the Genny Brew House last weekend! I would've stopped to chat but had to head out to a movie we were running late for! HPD Door Decals + K&N + Other Mods to Come. Former Third Gen Camaro and 97 Civic Hatch Owner. Omg! You had the red CRZ with Â“CRZÂ” decal down your doors? And wheels that looked like they shouldnÂ’t be out in the salt? Omg so cool, what are the chances! 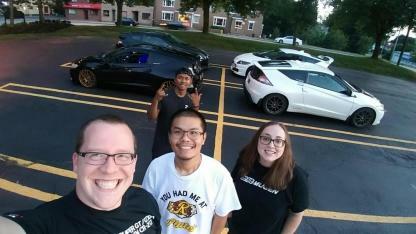 Yes my boyfriend and I were finishing up the PokÃ©mon Go Community day event that afternoon and went in to eat. I hope you donÂ’t mean New York City ^^; Welcome!